I didn’t send the book in time, though, so he’ll never get it, which makes me sad, but I’m mostly sad that I won’t ever have the chance again to send an email to the Minor Planet Center with precise coordinates of something that I just found and get a quick phone call back in which I hear his voice, super excited, saying WOW. Sometimes astronomers – probably all scientists – have reservations about discoveries made by their colleagues. Brian never did. The solar system was, to him, an exciting place that could only be better by someone – anyone – finding things that were thoroughly unexpected. I admit that in the week before the announcement, even I worried a bit about breaking the rules. I am, by nature, a rule follower. But I really wanted “Dutch” to be “Sedna” in time for the announcement. I thought it mattered – and, it turned out, based on those crayon drawings [of Sedna that children made], it did. Finally I decided I would buck the rules, though politely. I called Brian Marsden, an astronomer at Harvard University who was, in my opinion, the gate keeper of the solar system. He was the person to whom you sent the very first announcements of discoveries. He checked that your calculations were right. He put it on the official list. And he was always the first to be amazed and say, “WOW! What a great discovery.” Brian was also the secretary of the Committee on Small Body Nomenclature. I told him what I was planning to do. He asked if he could tell the chair of the committee. Of course, I said. Everyone agreed that a name was a good thing and Sedna was a good name. To the [Yahoo] chat group full of [astronomical] enthusiasts, though, I was a rule-breaker in need of punishment. One particularly agitated enthusiast tried very hard to prevent me from officially naming Sedna “Sedna”. Before Sedna was quite eligible for an official name, he proposed, through the official channels, that an unremarkable, hitherto anonymous asteroid – which was nonetheless eligible for a name – be named “Sedna,” after the Inuit goddess of the sea. Only one thing in the solar system can have the name, so my Sedna would have had to get a different name. “Rejected,” declared Brian Marsden. Names of important mythological figures would only be used for important astronomical objects. The enthusiast next proposed to name the very same unremarkable asteroid after Kathy Sedna, a Canadian singer. “Clever” responded Brian Marsden who, being in charge also of when things are eligible for names, quickly realized that my Sedna was now eligible and made sure the name became official. 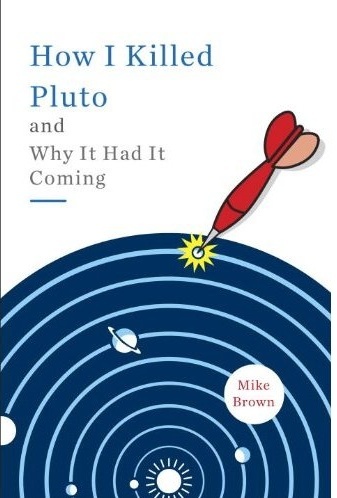 It was also at the IAU meeting in Prague that Dr. Marsden stepped down as MPC director, and he was quite entertained by the thought that both he and Pluto had been retired on the same day. In my very first weeks into what was a very new world for me - astronomy - it was Brian Marsden who personally and very generously answered my questions in a forum where few were enthusiastic to newcomers. With a stroke of his pen, he not only gave me a comprehension that otherwise would have taken weeks, he encouraged me in a way that no one else ever had, or since has. He truly was a generous person, and I suspect that his enthusiasm and giving nature will live on through the many astronomers - amateur and professional alike - who have had the privilege and pleasure to cross his path. I sure wish you had been able to give him your book. I bet it would have meant a great deal to him. Since the founding of the Summer Science Program in 1959, SSP has delivered the observations of its participants to the Minor Planet Center at the Harvard-Smithsonian Center for Astrophysics. Brian Marsden, completely aware that SSP's "astronomers" were brilliant, but inexperienced and very young, nonetheless treated their asteroid orbits with the same respect as those from professionals. He made certain that the observations of SSP's high school students became part of the Minor Planet Center's data base. For almost every one of SSP's 2,000+ teenagers, Brian Marsden was a first connection with the real world of science. Thanks for the beautiful tribute, and allowing those of us who are laypeople who love the solar system to know a little of Brian Marsden. I do have one question about the planet/dwarf planet discussion. While I have no problem with the distinction made, why is there not an official distinction between the inner planets and the gas giants that appear to be equally dramatically different. If that distinction were made it would make more sense to my (undoubtedly naive)understanding. Everybody dies. It's how you lived that counts. Brian Marsden counts. 21 rocket salute. Brian Marsden will be missed - he agreed with the request by discoverer Myke (Collins) Wolf to re-name Asteroid 108382 "Karencilevitz" in my honour and for that I will always hold a special place in my heart for Brian, despite never personally meeting him. He has long been a fixture in the world of astronomy and astrophysics and the IAU and MPC greatly benefited by his rudder. Rest in Peace, Brian, and may the stars always shine on you and bring you endless contemplation and joy. Brian Marsden was the best schientist in the documentary Bye bye planet Pluto. Farewell, Brian, no farewell to Planet Pluto. Reports of its death and or retirement have been greately exaggerated. I love your stories. Can't wait for the book now.